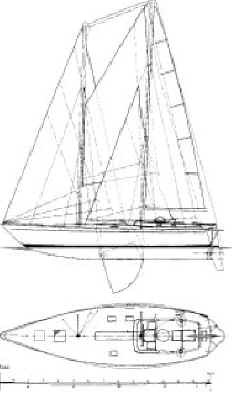 Two identical schooners (lifting keel) succeeded the first Damien : Damien II for Jerome and Sally Poncet, and Damien 3 for Gerard and Jaquie Janichon. Plans Michel Joubert (1974). Construction of steel hulls to sites META (Tarare) and Eloy LLORENTE (Le Rove). Personal and finishing facilities and equipment. 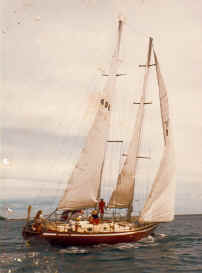 Damien II wintered in Antarctica (1978-1979). 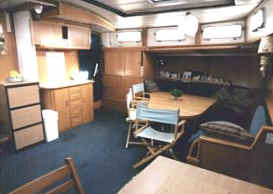 Icebound and transformed into a refuge for the couple Poncet, the boat behaved as expected during the great winter. Based in Falkland Islands (Falkland Islands), he explores more than 30 years the Southern Islands and Antarctic Peninsula. 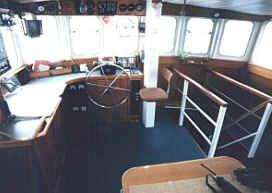 Twice sold and renamed Kotick, former Damien 3 now belongs to the couple Alain and Claudine Carradec. 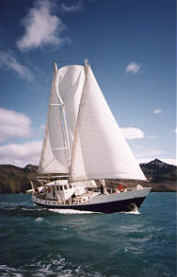 It performs charters in Patagonia and Antarctica from Ushuaia. 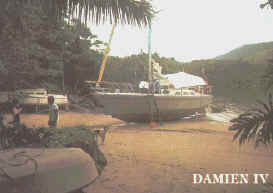 From 1979 to 1983, Gerard was Janichon owner of a cutter 11 m aluminum lifting keel. Plans J.F. André, construction ACNNO (Noirmoutier). Jérôme Poncet made ​​more polar campaigns annually to the Antarctic Peninsula and sub​​-Antarctic islands which adjoin or to South Georgia. To meet the demand, it has strengthened its fleet Golden Fleece with a big steel ketch, comfortable and highly motorized, well suited to the scientific charter, film and tourism.